Positioning SEM (Search Engine Marketing) has traditionally been the main channel for online advertising. In its simplest version, it has consisted of paying to be able to advertise in the search results. This channel is also known as PPC (pay per click) because of the payment method which only charges for the ads that users click on. Since 2000, as Google launched its AdWords ad platform (now Google Ads), the digital landscape has changed radically. As Google has evolved, so has Google Ads. They have been adding: options to advertise products in their shopping results (Merchant), videos on YouTube, banners on different web pages and even text ads in Gmail, among others. 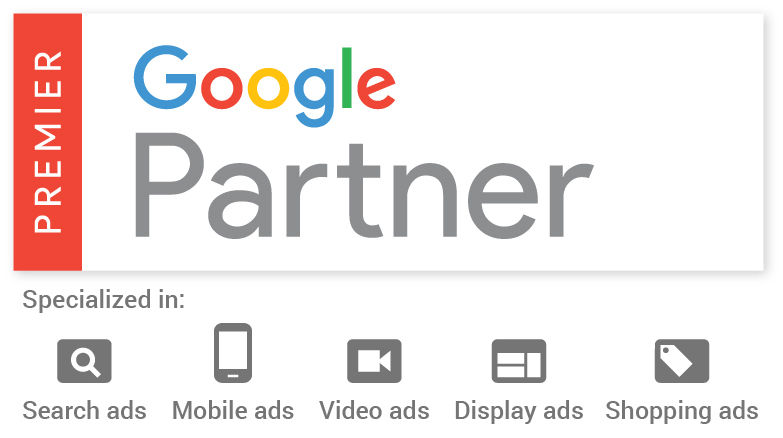 Google has not only added new ad formats but it has also sophisticated its display web, offering new remarketing and segmentation options which we can combine with different ad formats. There is an increasing number of qualified audiences and users to whom we can direct our advertising and make sure that we really reach the audience that interests us. How do we suggest SEM campaigns at eStudio34? Goals: We set out the goals we have and how we can achieve them with the highest possible profitability by combining the different networks that the PPC campaigns offers us. Channels: Depending on the service/product of the client, we analyse the most appropriate strategy taking into account the different digital platforms that can be used and we recommend the most convenient channels for it. Budgets: We recommend budgets in order to achieve the set goals, always using approximations. Launching campaigns: We create advertising campaigns considering the target audience and configure them so that we can see conversions in all their formats. Maintenance and Follow-up: Based on the results and progress of the campaign, we optimise the campaign regularly, provide follow-up reports with results and new options to adjust the strategy to the specific needs of each client. 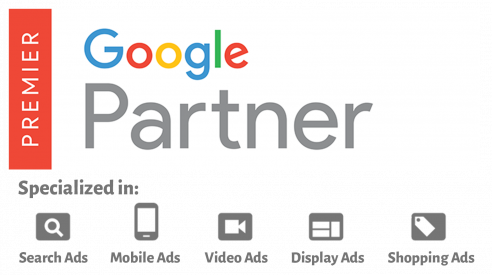 Contact with Google Partners: In eStudio34 we have the support of our Google managers in Dublin to be informed of all the news, for which your PPC campaigns will always have all the available options. As an online advertising agency with years of experience, we create personalised strategies with clear objectives in which we establish maximum acquisition costs to which we aspire to reach. We take into account the product margins and other variables that may affect the sale of a product/service (seasonality, offers or sales) to achieve the best possible results. We give great importance to the configuration of the monitoring to be able to measure results and be able to optimise efficiently, as well as offering transparency to our clients. When we work on e-commerce projects, being able to show ads in the shopping results is essential. Ads on Google Shopping are not only more attractive because they show an image of the product with a price, but they also tend to cost less than the conventional ones since they convert better. Google Shopping ads are managed through the Google Merchant platform. When considering Google Shopping, it is important to have competitive prices and a feed of the product’s catalogue that can be integrated with Google Shopping. In the given case of not having an actual “feed”, eStudio34 can create it for the client and in the case of not knowing which products are really the most competitive we can also make a market pricing study with scraping techniques. Remarketing is an ideal tool to increase the conversion rates of an AdWords strategy. These digital ad campaigns consist of showing our advertisement to users who have previously visited our web on third-party webs that belong to the Google display network. The ads operate the PPC model and they allow us to use different formats including product listings, showing the seen product to the same user on different webs. The universal app campaigns (UAC) allows us to reach more users with our app through paid campaigns. These advertising campaigns simplify the process of looking for new users by helping you promote your apps on the most popular properties on Google, such as Search, Google Play, YouTube and the Display Network. In this type of campaigns, it is not necessary to create ads since it is the platform itself that is responsible for creating the elements of your application store tab, therefore, it will be necessary to have it completely optimised. In addition, they can be combined with ad campaigns to download apps on other platforms such as Facebook Ads in order to cover more market. Online advertising campaigns are a very broad world. Contact us and ask us what the best strategy for your business is!